Danielle Billy and John went out looking for Mahi Mahi. 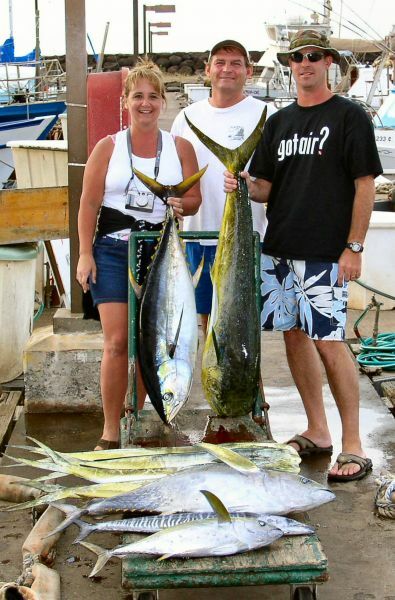 They found a few and also got a nice tuna and a little Ono. Alright!